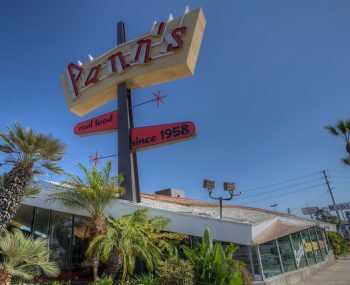 In spite of all the years, Pann’s will be undergoing some changes. As owner Jim Poulos told LAist, the restaurant is struggling to keep up with the new minimum wage hikes, and will have to shorten their hours to stay afloat. Starting August 1, the restaurant will be operating from 7 a.m. to 3 p.m., meaning it will be closed for dinner. … According to Poulos, the wage hike produces a domino effect that has significantly raised his cost of operations.